Recycled Corn Husk is dried and then crafted into cute, rounded angels of hope with handmade cane wings. Invite the joy of the season into your home with these festive angels. 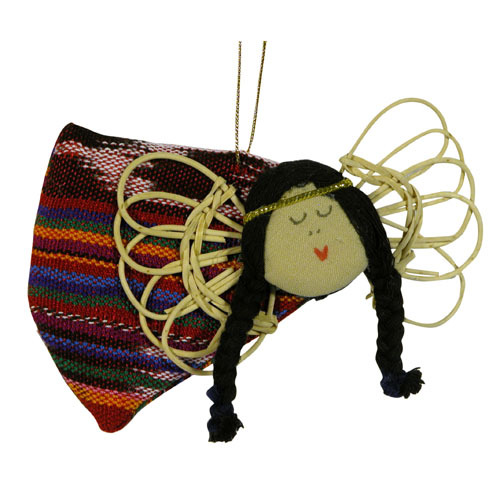 These angels of hope are made by women artisans from the UPAVIM cooperative on the outskirts of Guatemala City. UPAVIM, which stands for United for a Better Life, is an 80 member artisan enterprise helping women through social and economic empowerment. In addition to training women in creating various handmade textiles, UPAVIM has established a school, a pharmacy and a bakery within their cooperative. Handmade in Guatemala orted.and fair trade imported.